Mr. Nadir Burjor Godrej is the Managing Director of Godrej Industries Ltd and Chairman of Godrej Agrovet Ltd. He holds a Master of Science degree in Chemical Engineering from Stanford University and an MBA from Harvard Business School. 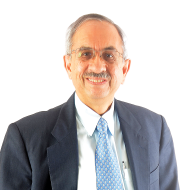 He has been a Director of several Godrej companies since 1977 and has developed the animal feed, agricultural inputs and chemicals businesses of Godrej Industries Limited and other associate companies, and has been very active in research. Mr. Godrej has been awarded Chevalier de Legion d'Honneur, Globoil Life Time Achievement Award – 2012, OTAI Life Time Achievement Award – 2012, Chemtech CEW Leadership & Excellence Award -2013, and Chemexcil Life Time Achievement Award – 2013. He also received the Porter Prize 2013 for Creating Shared Value awarded to Godrej Industries Limited. Mr. Ashok Vishwanath Hiremath is the Managing Director of Astec LifeSciences Limited. He brings with him over 37 years of experience in the Chemical Industry. He has a Masters degree in Engineering from University of Oxford and a Post Graduate Diploma in Chemical Engineering from University College, University of London. 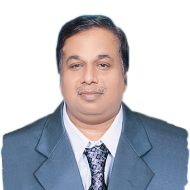 He founded Astec LifeSciences Limited in 1994. He has been actively involved in the affairs of the Company and has played a key role in the growth of the Company. 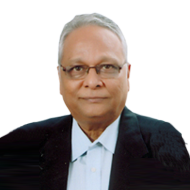 He was awarded the Dombivli Giants Award for Industry in 2008 and the Udyog Rattan Award by the Institute of Economic Studies in 2010 and several other awards for his excellence in chemical Industry. Mr. Balram Singh Yadav is the Managing Director of Godrej Agrovet Limited, one of India's foremost diversified agribusiness companies. 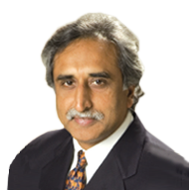 He also serves as Managing Director of Godrej Tyson Foods Ltd. He is the Former Chairman of CLFMA of India, an Association of Livestock Industry and also a member of the Managing Committee of All India Poultry Breeders' Association. 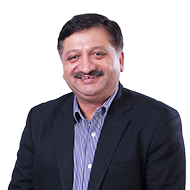 In addition, he is a Director of numerous companies including ACI Godrej Agrovet Private Limited (Bangladesh), Creamline Dairy Products Limited and, Polchem Hygiene Laboratories Private Limited. He began his career with Godrej Group in 1990 and over the years he has handled roles of increasing responsibility across businesses and regions in the company. He became the business Head in 1999 when he was asked to establish and lead the Integrated Poultry Business. He established the Real Good Chicken and Yummiez as the leading processed poultry brands in India. 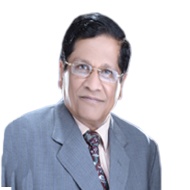 Mr. Vijay Kashinath Khot is a Science Graduate from the University of Mumbai and was associated with Godrej Group from September 1973 till 2011. He has worked in Animal Feeds for 26 years in the State of Gujarat and was also instrumental in introducing Godrej agri products in the said State in the year 1986. Since the year 2000, he was associated with Poultry business and was looking after the sales of Real Good Chicken (RGC) mainly in the metro cities of Mumbai, Pune, Bangalore, Chennai and Hyderabad. Mr. V. K. Khot was also a Director of Bahar Agrochem And Feeds Limited, Goldmuhor Agrochem & Feeds Limited and Anamudi Real Estates Limited. As a trainer, Mr. Khot imparts training to sales personnel in his professional capacity. Mr. Rakesh Dogra is Head, Agri Input Business, Godrej Agrovet Limited. He is also an active member of the Crop Care Federation of India, Indian Association of Plant Growth Products, Chemical Exports Promotion Council and Pesticide Manufacturers and Formulators Association of India. Mr. Dogra has over two decades of experience in the Agri Business industry across diverse functions including Sales, Marketing and Business Development. He has worked with leading multinationals like Bayer, Chemtura and domestic agribusiness companies like Biostadt. Mr. Dogra is a graduate in Agriculture with a specialisation in Entomology from the Himachal Pradesh Agricultural University, Palampur. Dr. Brahma Nand Vyas has completed graduation B.Sc. Agriculture in 1971 from the University of Rajasthan, Jaipur and post graduation M.Sc. Agriculture with Honours in Soil Science and Agricultural Chemistry in 1973 from the University of Udaipur, Rajasthan. He worked with Bhabha Atomic Research Centre (BARC) Trombay, since 1974 till 1987, and then joined Godrej Soaps Limited. He obtained Doctorate in 1980, while in service in Chemistry from University of Gujarat, Ahmedabad. At BARC, Dr. Vyas worked on the Behaviroural aspects of most Toxic Radionuclides Plutonium -239 and Americium-241 in soils and Soil-Plant systems. At Godrej Soaps Limited initially and later at Godrej Agrovet Limited, he led R&D for nearly two decades, and was responsible for the development and Launch of first ever Commercial Neem based Urea Coating Agent, the country's first CIB Registered Neem Insecticide, the world's first Homobrassinolide based Growth Promoters for grapes initially and later for other crops, and most recently very Unique Post Emergence Selective Herbicide for Cotton, based on Pyrithiobac sodium. During the R&D assignments, he has published more than 60 scientific publications in International and National Journals of High repute, besides presentations at International Seminars. He is the holder of more than 25 patents including international patents. Dr. Vyas is currently a Life Member of Indian Society of Soil Science, Indian Society of Agronomy, Fellow Member of Oil Technologists Association of India, Fellow of Indian Society for Nuclear Techniques in Agriculture and Biology. 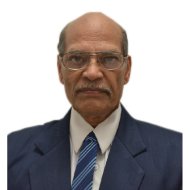 He has held the position of President of the Indian Society for Plant Growth Products, Mumbai for 12 years, and is currently the President Emeritus of IAPGP. Also, he is currently the Designated Partner in Neem Wave Exhibitions LLP and Vice Chairman of Neem Foundation, Mumbai. Dr. Vinod Malshe, has a Bachelor of Science (Chemical Technology) degree from Kanpur University and a Master's of Science (Technology) degree from University of Mumbai. He has also been awarded a PhD in Technology. He brings with him 40 years experience in the chemical industry. He retired from the position of Professor of Paint Technology and Head of the Department of Surface Coatings Technology, University of Mumbai, and Institute of Chemical Technology. He has written two books and published nearly 50 research papers. He was a member of ISI (now BIS) committees and was also one of the interview panelists for promotion, project evaluation, and examiner of PhD thesis of various universities. He has guided 19 PhD and 12 Masters Students. He is on the editorial board of 5 international journals. 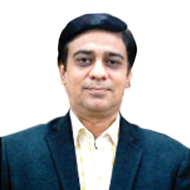 Mr. Arijit Mukherjee is looking after Pan-India Marketing operation of Agri Input Business, Godrej Agrovet Limited. Mr. Arijit is a graduate in Agriculture and holds a Post Graduate Diploma in Agri Business Management from Indian Institute of Management, Ahmedabad. Dr. Leena Raje has M.Phil & PhD from S.N.D.T. University, Mumbai. 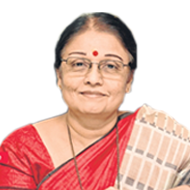 She has been working as an associate professor, teaching food science & nutrition for last 28years in P.N.Doshi College,Mumbai. Currently she is the Principle of the college. She has also guided 12 students for M.Sc & has been recently approved for guiding PhD students. Mr. Sitendu Sharma is an eminent Chartered Accountant. 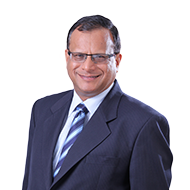 He has over 20 years of experience in the area of finance, tax planning, service tax etc. He has been an Independent Director of our Company since September 2007.